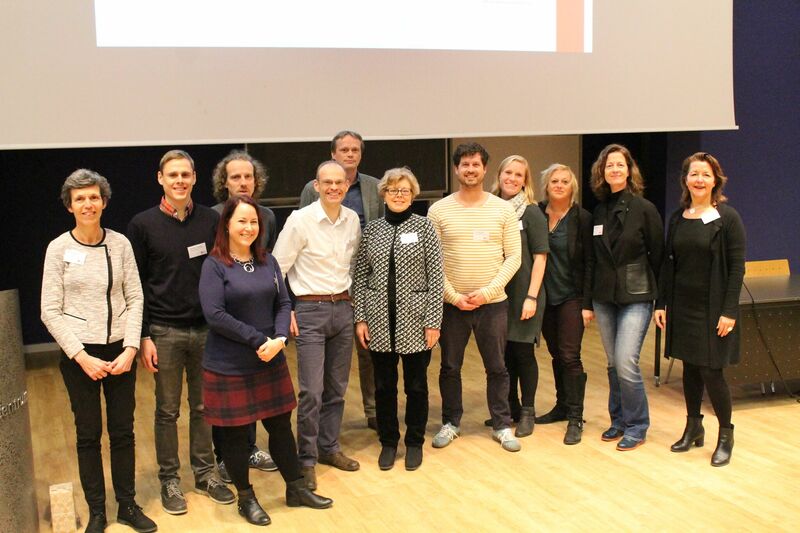 In keeping with its motto "Improving implementation practice: a one-day implementation science conference", the Implementation Science Symposium held in Amsterdam was a day full of exciting talks, important insights, and a great opportunity to spread the message of Implementation Science. Amongst the remarkable talks of Professor Enola Proctor from the US and Professor Shaun Treweek from the UK, Trancy Finch and Christiaan Vis presented the ImpleMentAll project. Focusing on the main idea of ImpleMentAll, and in more detail on the ItFits-toolkit and the underlying theory, the audience got involved and a lively debate arose resulting in valuable reflections on ImpleMentAll. After a well-deserved lunch filled with discussions about the new inputs from the morning sessions, the afternoon was composed of five different workshops covering topics from the costs of implementation to the use of assessment instruments. Sebastian Potthoff and his team from Newcastle, UK, built on the previous talk about ImpleMentAll and offered a workshop with the title “Beyond tailoring: developing implementation strategies that match identified barriers and facilitators for implementation” for an audience of more than 50 people. The participants applied the mechanism of the ItFits-toolkit which led to important ‘real life’ information about the functionality of the toolkit for the developer team. An overall successful day came to an end by a résumé of Bianca Albers, chairman of the board for the European Implementation Collaborative (EIC), and a social get-together continuing the exchange about experiences and ideas in the field of Implementation Science. The overall message of this one-day implementation science conference in Amsterdam was, without question, the importance of improving implementation practice to “reduce the waste of research” and increase the quality of our health care system. It was especially great to see that so many young researchers from different domains are interested in this late-breaking topic.